The US Paratrooper Scout Specialist troops excelled at moving ahead of the main force to report on enemy movements, strengths and weaknesses. 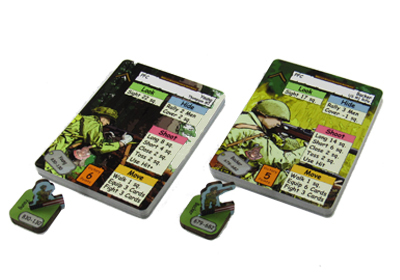 These soldiers come with their basic playing cards but also 8 new Specialist cards that may include Story, Command, React and all new Equipment cards. 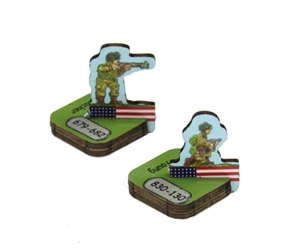 These soldiers are a welcome addition to any players roster.